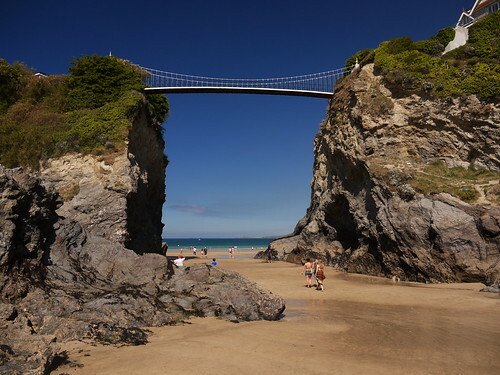 On the Towan Beach of Newquay, Cornwall, UK, stands a small rocky outcrop island separated from the mainland by just 25 metres (82 ft) of beach, which gets flooded during the high tide. 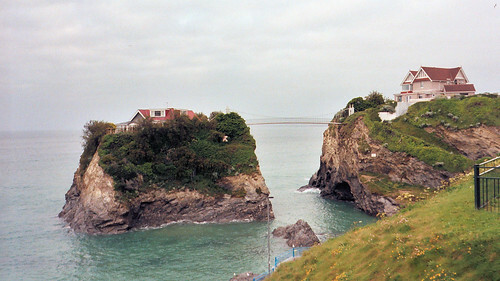 The island, which also featured in the 1967 Beatles' film "Magical Mystery Tour" is known simply as "The Island" and is a private property. 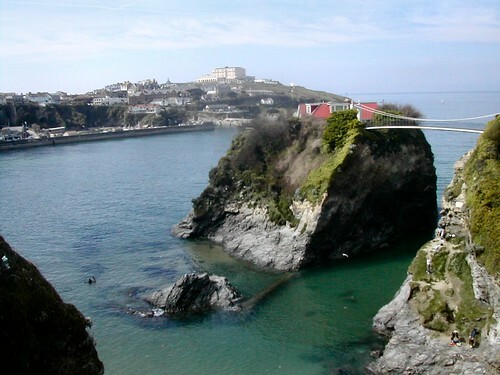 It has an Edwardian style house built on it which is accessed by rocky steps from the beach as well as by a 21.3 metres (70 ft) high suspension footbridge. 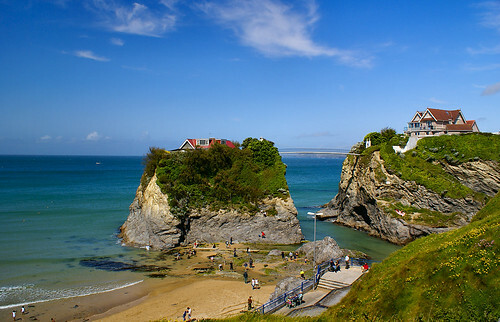 The house which is often referred by locals as the "House in the Sea" is one of the most photographed landmarks in Cornwall. Built in 1910 (as per another source 1930) the house has had a chequered history. It was once owned by Alexander Lodge the inventor/owner the Lodge spark plug and son of Sir Oliver Lodge, famous British physicist. Sir Arthur Conan Doyle, author of Sherlock Holmes, had also visited the house on few occasions. For some time the house served as an annexe of a near by hotel and later it was turned into a tea house. The house is presently owned by Lord Richard Gerard Long, the 4th Viscount Long who was whip in the House of Lords for a record 20 years. Reportedly part of the house is rented out on Bed and Breakfast basis and the house in now on sale for an asking price of about one million GBP. The Island which is about 44 metres wide is claimed to be the Europe's smallest full-time inhabited island, but this has to be taken with a pinch of salt as it all depends on the definition of an island - as per EU rules an island must have at least 50 residents to be called inhabited island. Interestingly Hub Island, a 18 metre wide, tiny island in 1000 Islands, St. Lawrence River, USA, with a small house aptly called "Just Room Enough" is reportedly the tinniest inhabited island in the World. 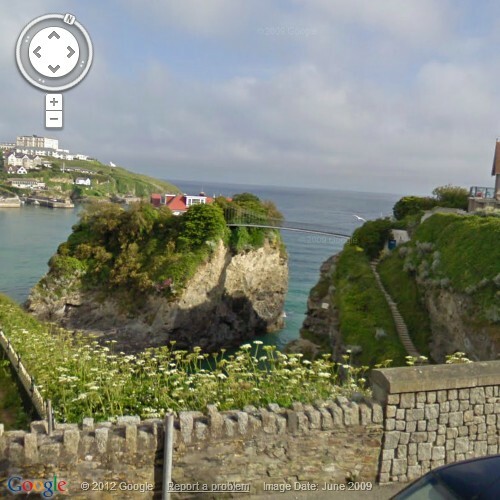 Also see Smallest Inhabited Island Contest and Isles in Fun and Games group of Google Earth Community. Interresting articles, best regard from Belgium.